Coderrific - Our Work - Elemento, Inc.
Coderrific is a forum-based website allowing users to provide questions and answers. We used a robust content management system to easily update blog entries and forum posts. It also allowed user registrations and account management for those developers who need help. 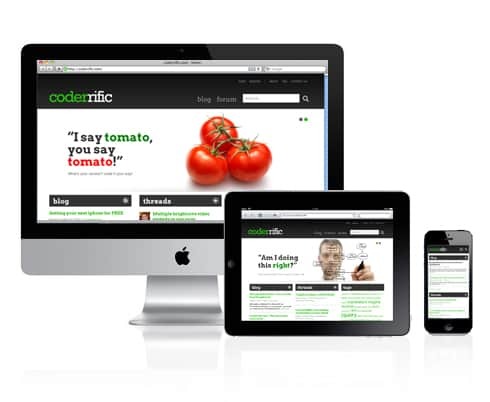 The Coderrific site was initially non-responsive and we converted it on May 2013. We also integrated social media on Facebook, Twitter and Google+ as different channels for users to reach out to Coderrific.